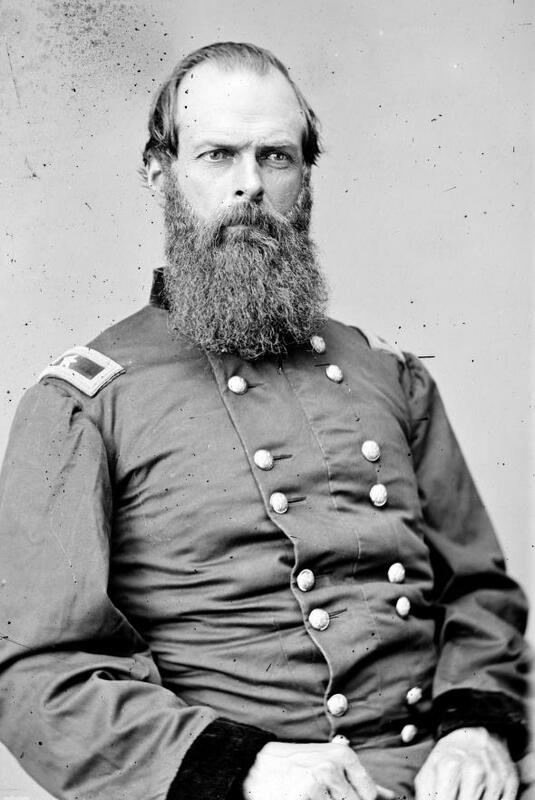 Brigadier General John White Geary (1819-1873) commanded the Second Division of the Twelfth Corps at Gettysburg. This of painting by J. M. Boundy, is courtesy of the State Museum of Pennsylvania, and was painted circa 1867. 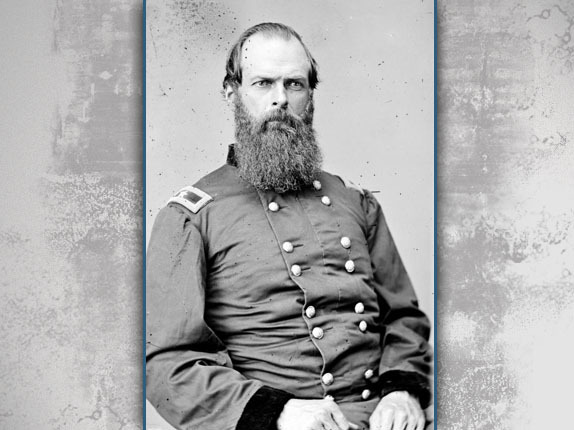 In today’s Gettysburg Idols post, Gettysburg Licensed Battlefield Guide Joe Mieczkowski presents information on Brigadier General John White Geary. 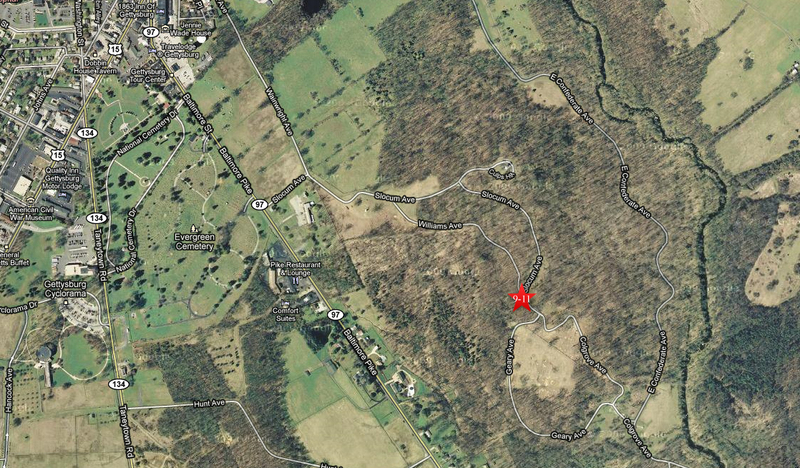 This map shows us the locations taken of the videos for the Gettysburg Idols series. Videos #1-#8 were shown in our previous posts. Videos #9-#11 were taken near the John White Geary statue on Culp’s Hill. This map was created facing north at approximately 10:00 PM on Sunday, September 5, 2010. 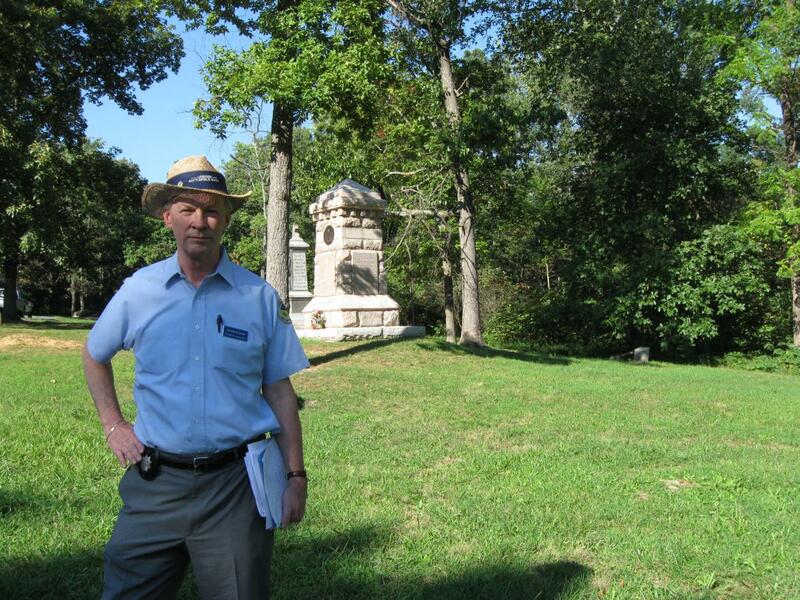 Gettysburg Licensed Battlefield Guide Joe Mieczkowski is our host for this series on Gettysburg Idols. 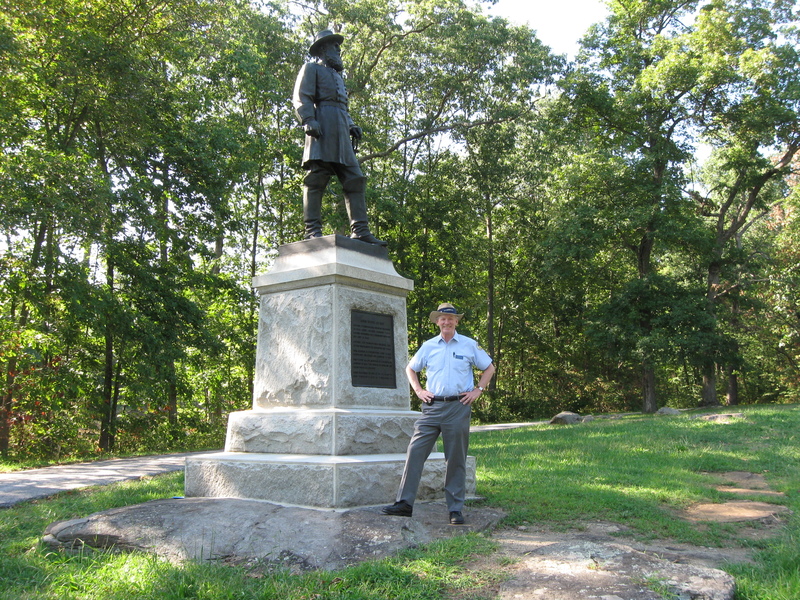 He is standing on Culp’s Hill near the statue to Brigadier General John White Geary. This view was taken facing east at approximately 4:45 PM on Friday, August 27, 2010. In Video #9 (Videos #1=#8 were shown in our previous Gettysburg Idol posts) Gettysburg Licensed Battlefield Guide Joe Mieczkowski presents pre-war biographical information on Brigadier General John White Geary. This view was taken facing northwest at approximately 4:45 PM on Friday, August 27, 2010. 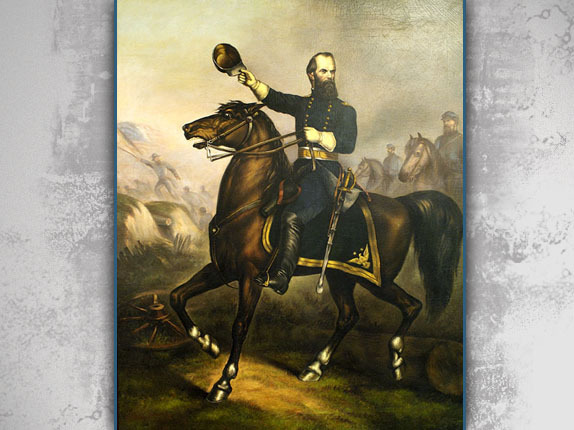 In early May of 1863, a “spent” cannon ball hit Brigadier General John W. Geary in the chest at the battle of Chancellorsville. While not quite enough to kill him, it did knock him unconscious and left him unable to speak above a whisper for many weeks. 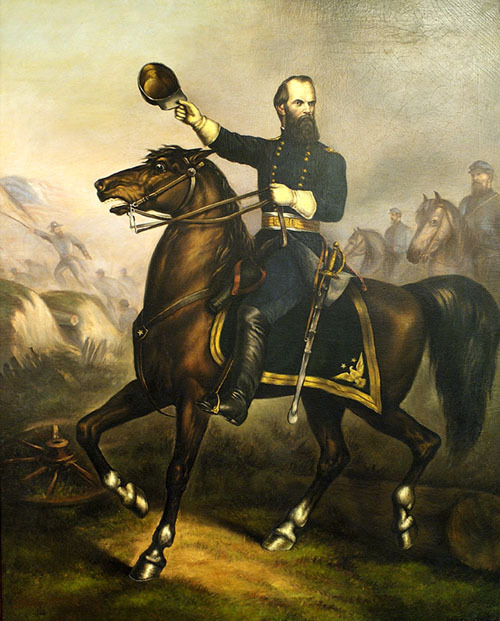 Less than a month later, Geary was leading his men at the Battle of Gettysburg. This view was taken circa 1865. 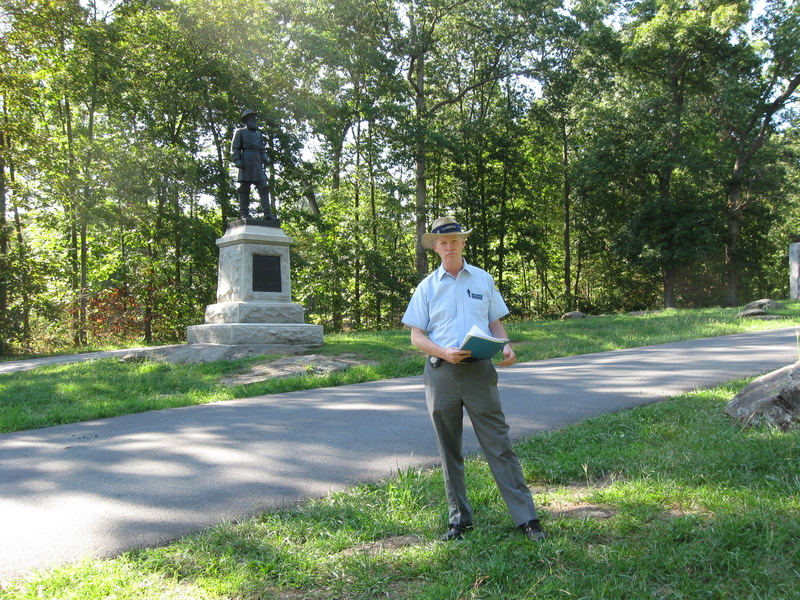 Licensed Battlefield Guide Joe Mieczkowski is standing on the southeast slope of Upper Culp’s Hill. The earthworks constructed by Geary’s soldiers were right of the monuments to the 137th New York (partially hidden) and the 7th Ohio. This view was taken facing north at approximately 4:45 PM on Friday, August 27, 2010. In Video #10 Licensed Battlefield Guide Joe Mieczkowski shares the work of Geary’s division on Culp’s Hill. This view was taken facing north at approximately 4:45 PM on Friday, August 27, 2010. Joe Mieczkowski is standing near the statue of John White Geary. Williams Avenue is in the background. This view was taken facing northwest at approximately 4:45 PM on Friday, August 27, 2010. In Video #11 Joe Mieczkowski provides information on Brigadier General John White Geary’s life after Gettysburg. He also shares the fumes from the dye for his beard may have led to his having a heart attack. This view was taken facing northwest at approximately 4:45 PM on Friday, August 27, 2010.